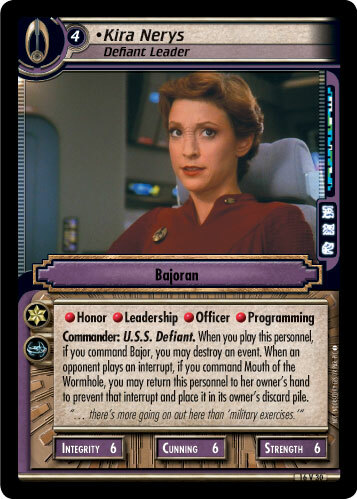 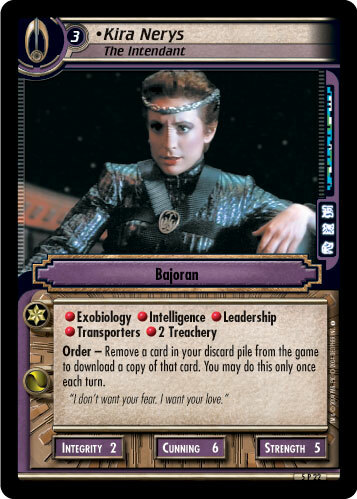 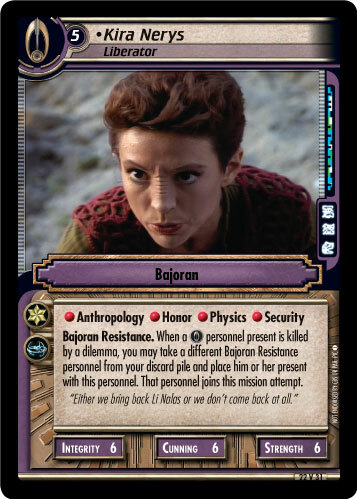 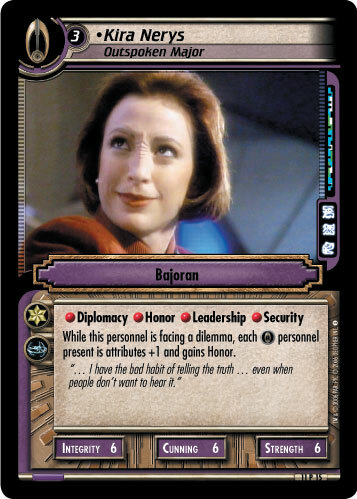 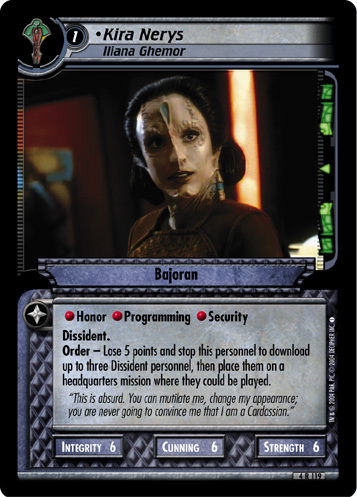 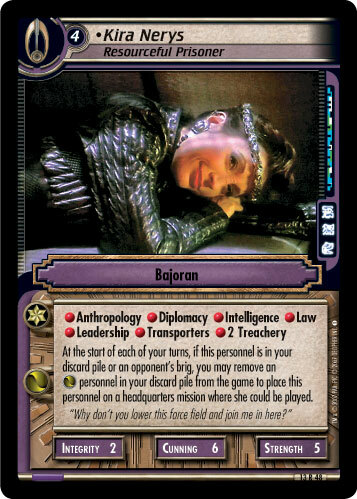 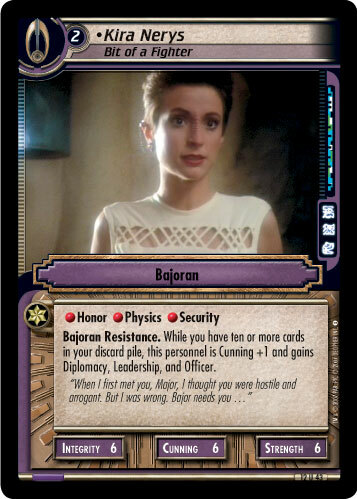 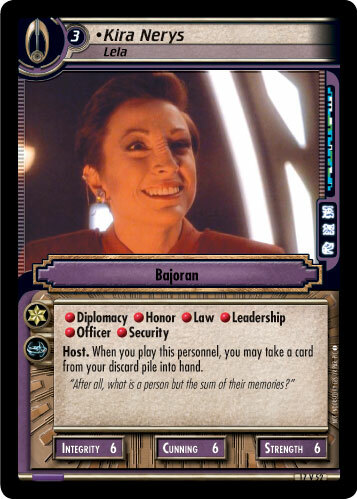 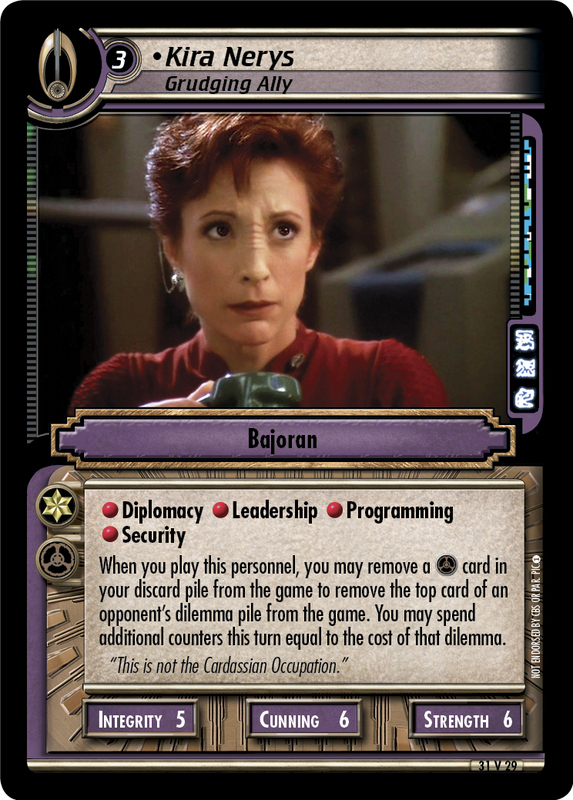 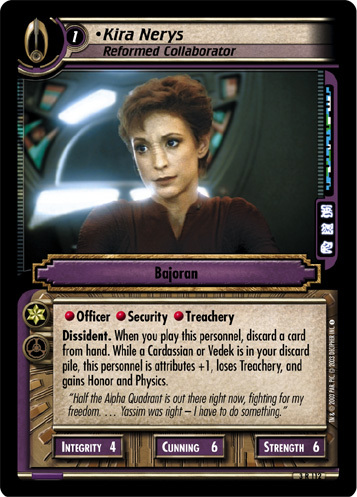 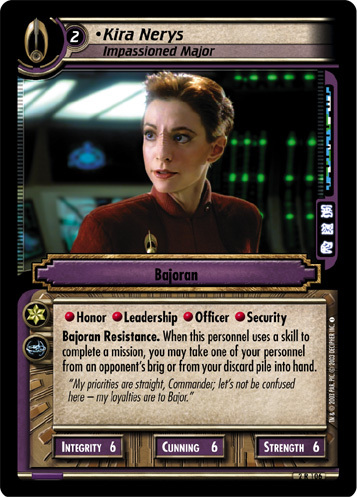 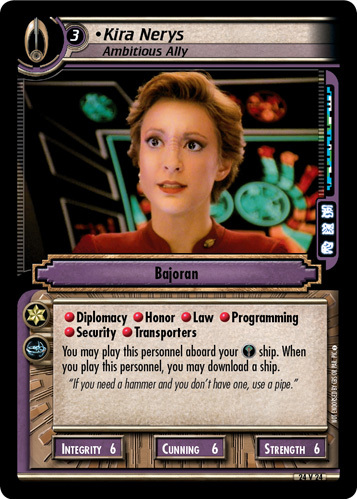 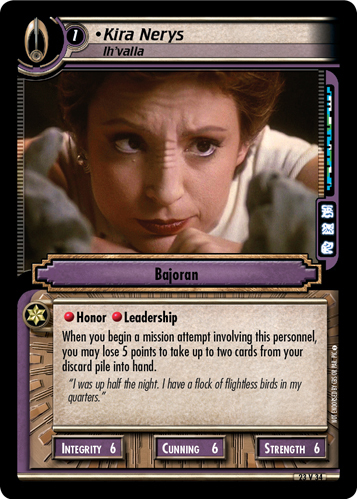 Bajoran Resistance. 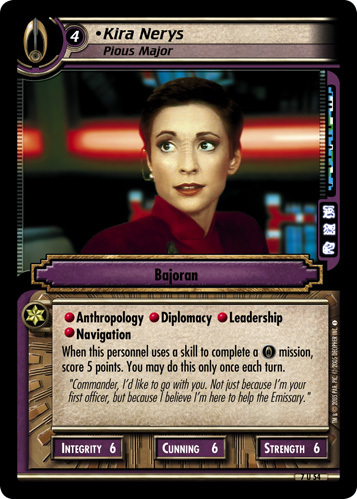 When this personnel uses a skill to complete a mission, you may take one of your personnel from an opponent's brig or from your discard pile into hand. 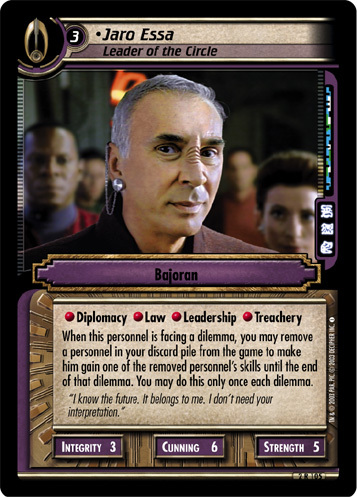 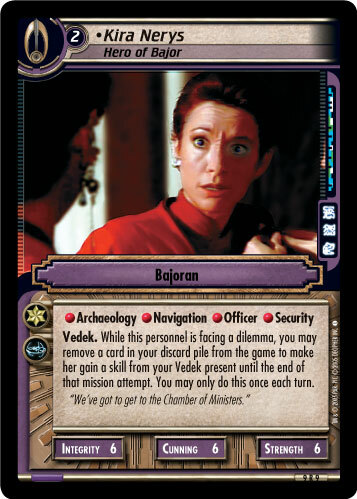 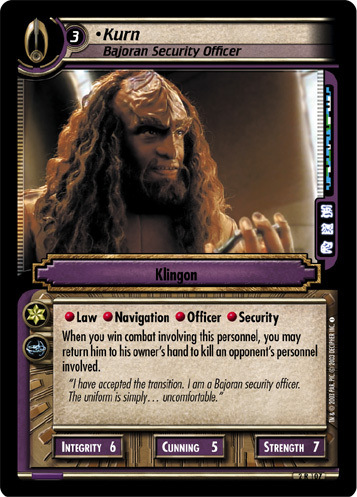 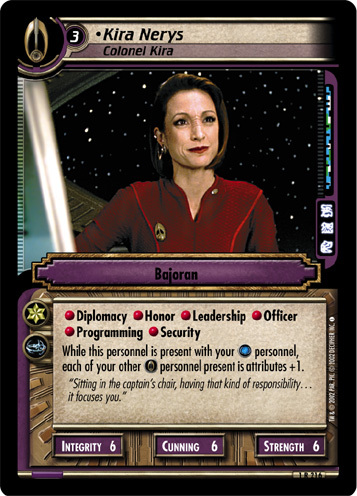 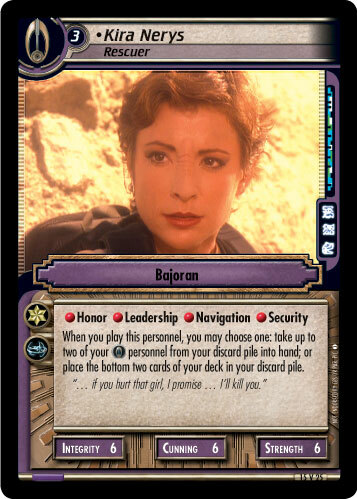 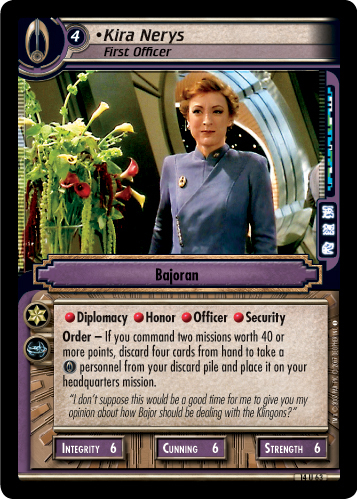 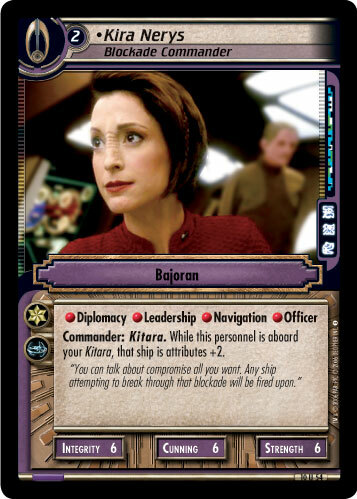 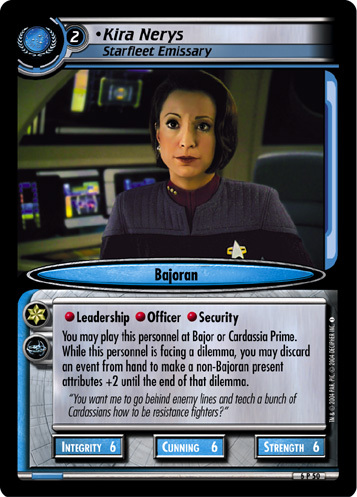 "My priorities are straight, Commander; let's not be confused here - my loyalties are to Bajor."